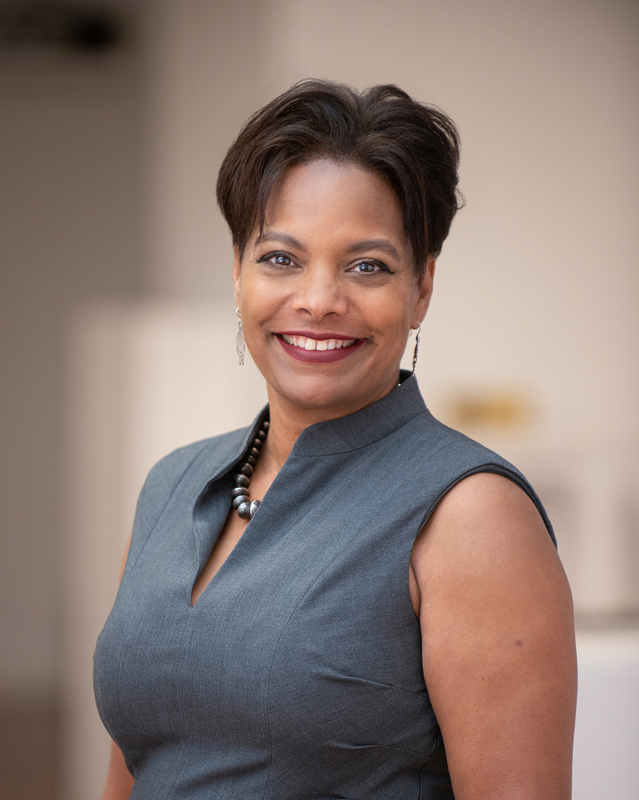 BOSTON, MA July 26, 2018 – Massachusetts College of Art and Design (MassArt) has named Dr. Kymberly N. Pinder as the college’s new provost and senior vice president of academic affairs, effective January 2019. Dr. Pinder, currently dean of the College of Fine Arts at the University of New Mexico, will succeed Kenneth Strickland, who retired in June 2017. The selection of Dr. Pinder as MassArt’s next provost is the outcome of an extensive national search launched in September 2017, led by a 15-member search committee of MassArt faculty, staff, and a student representative facilitated by consultant Park Square Executive Search. "I am delighted that Dr. Pinder will join us as our new provost," said David Nelson, MassArt president. "Her experience in a public university as well as an independent school of art and design, her scholarship and teaching, and her intelligence, humor, and care for our public mission make her an ideal fit for MassArt. She is joining us at a time of remarkable opportunity. I look forward to our partnership in service to the college, her partnership with faculty carrying on the excellence of our academic programs, and her leadership of academic affairs at MassArt." "Coming to Massachusetts College of Art and Design is the most logical next step for me after being at the School of the Art Institute and then a public research university," Pinder said. "I feel that those experiences were preparing me all along to serve at the only independent public art school in the country, and one whose mission focuses on community enrichment." Kymberly Pinder’s career in higher education spans more than 25 years, in administrative and faculty roles with the University of New Mexico, the School of the Art Institute of Chicago, and Middlebury College, among other institutions. Dr. Pinder has served as the dean of the College of Fine Arts at the University of New Mexico (UNM) since 2012, overseeing the state’s largest fine arts program, which offers more than 30 undergraduate and graduate degrees in the disciplines of art, music, theater & dance, and cinematic arts. She also served as Interim Director and Curator of the UNM Art Museum from 2014 to 2016. As a scholar and a curator, Dr. Pinder teaches, writes and lectures on representations of religion, history and race in American Art, and has authored multiple books on the subject, most recently Painting the Gospel: Black Public Art and Religion in Chicago (2016). Her curatorial projects include "Necessary Force: Art of the Police State" and "Spreading the Gospel: Graffiti and the Public Space as Canvas." As a mural scholar, Dr. Pinder has always been committed to community engagement and interdisciplinary initiatives. Through a partnership with the city of Albuquerque, she led the founding of the CFA Downtown Studio, which has presented 400 events for a total audience of 8,000 since its 2015 launch, and she spearheaded the creation of an annual all-arts day with events throughout the cities of Albuquerque and Santa Fe with over 200 student participants. Prior to her appointment at University of New Mexico, Dr. Pinder served as chair of the Department of Art History, Theory and Criticism at the School of the Art Institute of Chicago (SAIC) from 2007 to 2010, and on the SAIC Art History faculty in roles of increasing responsibility since 1996. Dr. Pinder received her Doctor of Philosophy, Master of Philosophy, and Master of Arts degrees from Yale University, and her Bachelor of Arts from Middlebury College, all in Art History. As MassArt Provost, Dr. Pinder will lead the academic mission of the college’s undergraduate and graduate programs, working with the faculty and academic affairs staff, as well as the college’s Academic Resource Center, Registrar, Center for Art and Community Partnerships, and Professional and Continuing Education. She will also oversee the Bakalar & Paine Galleries, which presents professionally curated exhibitions by some of the most influential emerging and well-known artists on the contemporary art scene.